The Upstate Z Club has partnered with The Chandler School to provide a special interest automotive class. The students came up with the official class name of Automotive Culture and Engineering or A.C.E. So we refer to them as the Chandler School ACEs. The ACEs are comprised of 6th thru 8th grade students. There is a bigger initiative to develop a complete K thru 8th curriculum whose aim wouuld be to produce engineers who can join automotive companies in the area like BMW, Michelin, and the Clemson International Center for Automotive Research or ICAR program. 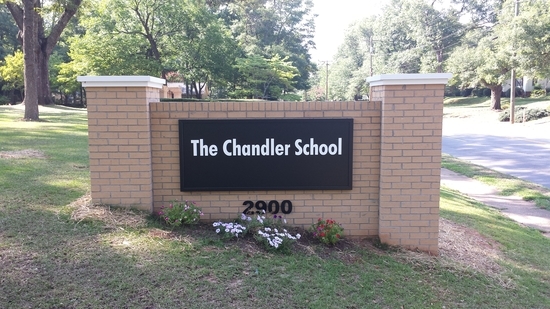 The Chandler School specializes in assisting children who have difficulties in reading, writing and math, specifically due to Dyslexia and/or ADHD. The school was founded by Dana Blackhurst. Dana is a nationally recognized educator of, and authority on students with dyslexia. He has served on multiple advisory boards, including the International Dyslexia Association (IDA) Board, the South Carolina-based Child’s Haven Board, and the board of directors for the Andre Agassi Preparatory Charter School in Las Vegas. 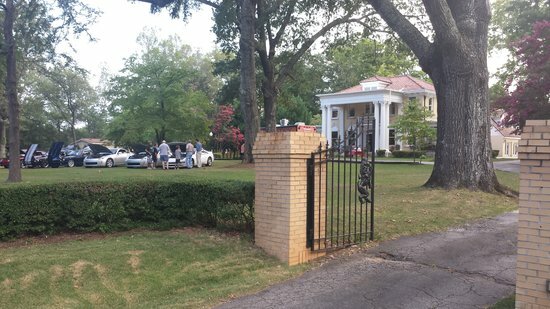 The Chandler School occupies the C. Granville Wyche House at 2900 Augusta Rd in Greenville. More than just auto mechanics, we strive to make this an application class and incorporate math, science, history, culture, art (design) and business. Since the beginning of the school year in August, we've covered automotive history starting with Cugnot's steam powered "vehicle" in 1766 and going through Henry Ford and the Model T. They've built plastic working engines to get a basic understanding of the mechanics involved. Now each student is researching a different engine type (rotary, diesel, etc) and will be giving a presentation at the end of the school year. 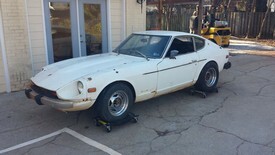 The club donated a 1975 280Z. The car has been sitting since 1990 and still has the tag. The class will decide what to do with the car. Should we keep it stock? Modify it? It will be a class decision. We've since added two more cars. 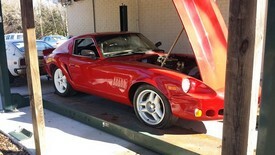 A 72 240Z Scarab and a 72 240Z track car. Our "shop" is a work in progress. A pad has been poured and Land Rover of Greenville, which is now Maserati of Greenville, has donated a lift. We had to raise the roof to get in installed! So you are probably asking yourself, how did the Upstate Z Club get hooked up with The Chandler School? Well, Dana is an avid car enthusiast and purchased a Scarab Z in early 2014 with the intention of fixing it up to racie at Road Atlanta. 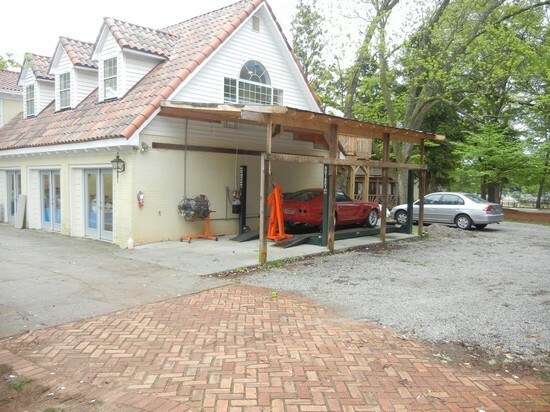 In February of 2014, Dana contacted the Upstate Z Club to ask for recommendations on how to improve the brake and suspension system. He then shared a dream of having a car enthusiast class for the older children at the school. 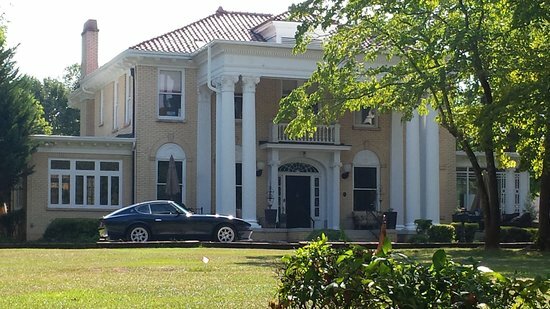 The Chandler School is a 501(c)(3) non-profit organization. All donations made to this school are tax deductible. Donations to The United Way may also be designated to The Chandler School.